Island students studying in Fiji should pull their resources together for food. Mother of two, Jasmine Henry from the Federated States of Micronesia (FSN) is doing her Graduate Certificate at the University of the South Pacific (USP). She and five other students from FSN are renting a house near USP. Though she is the oldest resident she does not al­ways get her way when it comes to food. “Everyone has their preferences and choices but living under the same roof we need to get organised,” Ms Henry said. “There is a Seventh Day Adventist in our house so out of respect we do not buy pork,” she said. 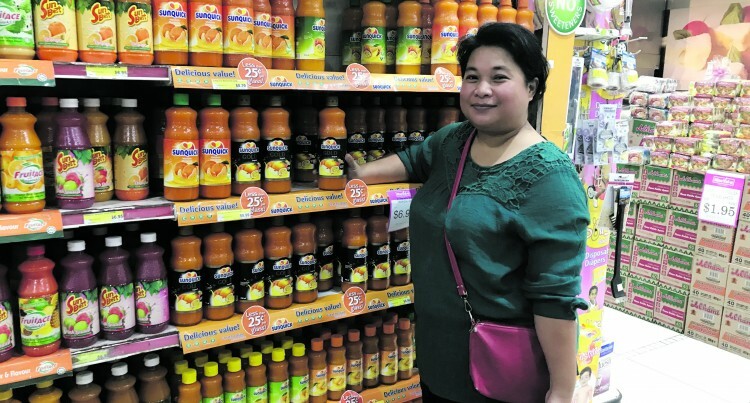 Into her second and final year in Fiji Ms Henry is familiar with the nearby super­markets. She prefers Morris Hedstrom City Centre (MHCC). “Food here is pricey, I do not mind pay­ing extra as long as it is fresh,” she said. “I prefer MHCC because of their set up, it is orderly organised that as long as you have your shopping list your shopping is done quickly. “There is also a wide range of varieties allowing us shoppers choose the best. “Here, there are fresh meat, chicken and fish. We love fish. Ms Henry because of her maturity sees to that food is not short in their rented house. She discourages any thought of eating out. “A lot of students are depressed because they have to look for food before their al­lowances are due,” she said. “This is because they eat out – save your money, go in groups, shop together, pull all your resources together and plan out your food intake. “We Pacific islanders love our food, when we don’t have food we are de­pressed. Ms Henry’s United States of America military officer husband is in the US with their two children a 17 year-old son and a 14-year-old daughter. A teacher by profession Ms Henry did her degree in Australia through AusAid. “I miss my family, but with skype and facebook messaging, communication is far easier now,” she said. “I just had an issue this morning with my daughter not liking her coach – I said ok and after a lengthy discussion it was solved.